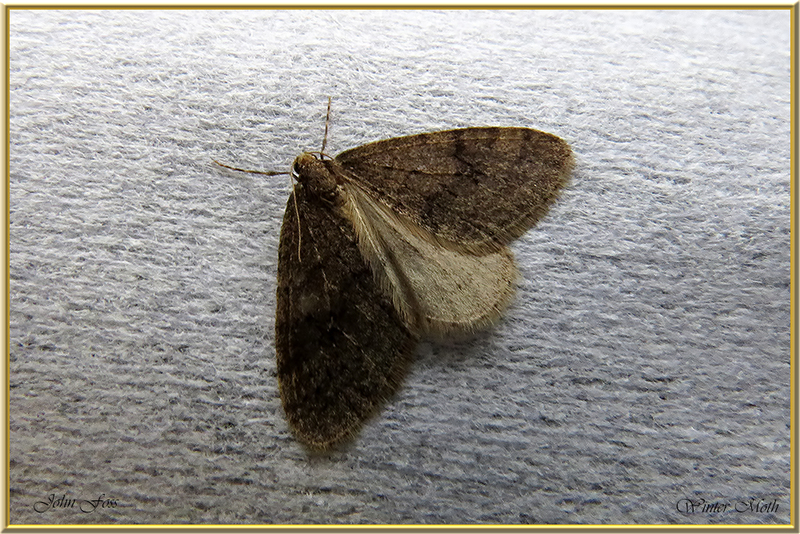 Winter Moth - A common moth which flies from late autumn to February. 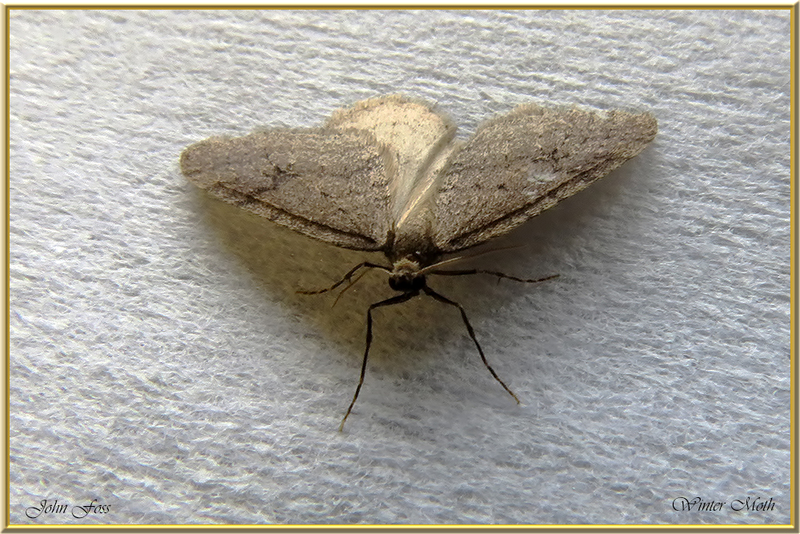 It has a wing span of around 25 mm. This is a male. The female is virtually wingless and just waits around for males to arrive! It is attracted to light. 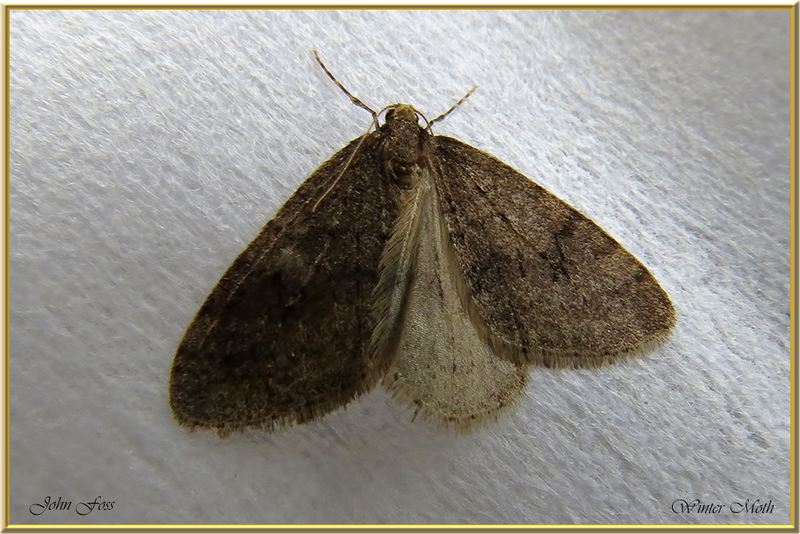 The forewing colour can vary from grey to straw coloured.Photographed in Co. Leitrim mid January.